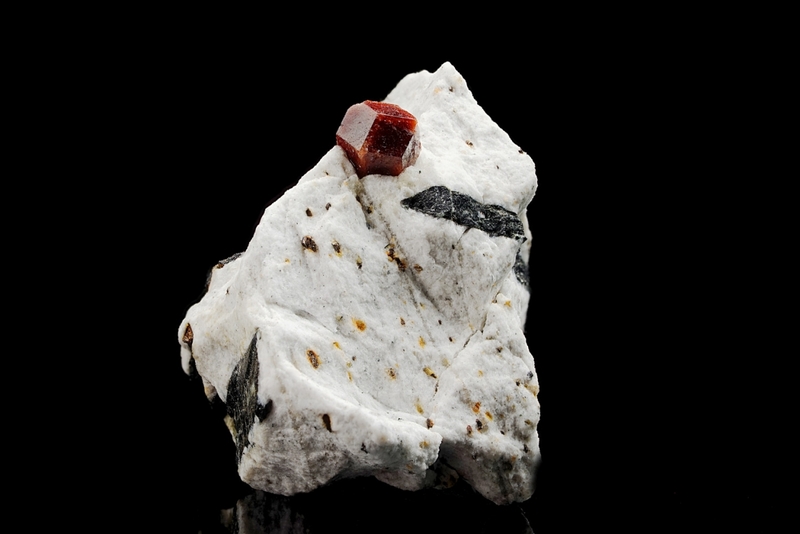 High aesthetic spessartine specimen with aegirine in snowy white marble. 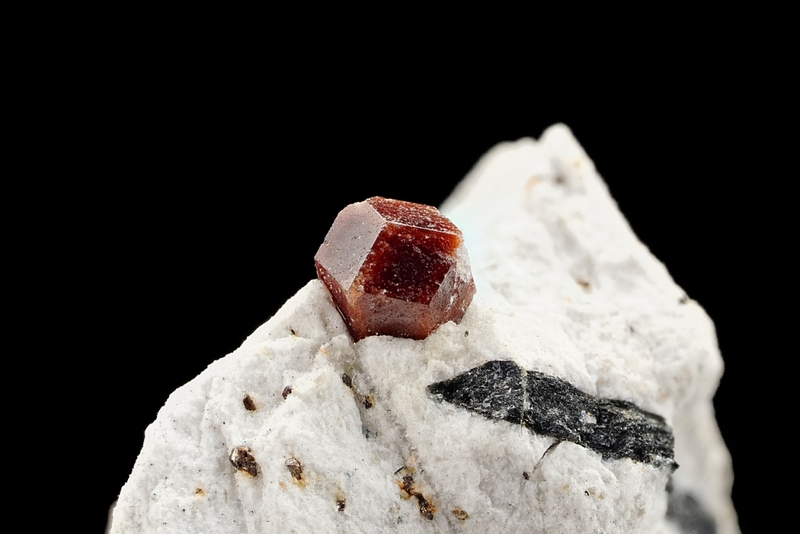 This specimen comes from a largely unknown location. This is a really rare specimen in an excellent condition. 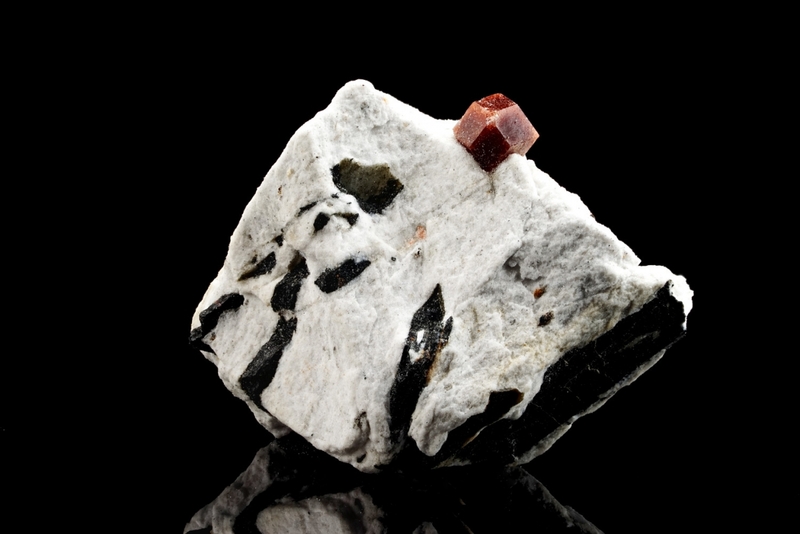 Great contrast and a nice combination of minerals.